Lakland Farm’s Grade 3 winner Unbridled Command wrapped up the Showcase Day card with tour de force performance in the final race, winning the $175,000 McMahon of Saratoga Mohawk by 6 3/4 lengths. 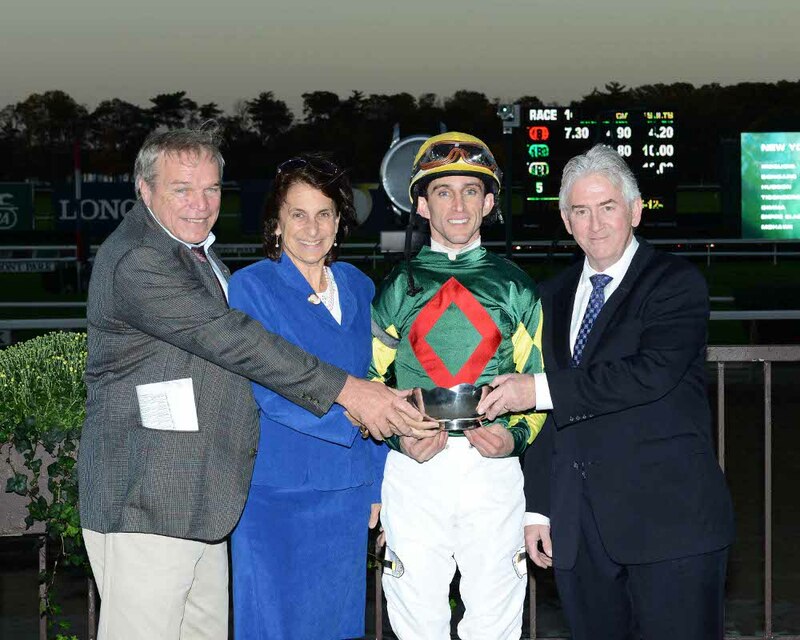 Winner of his last three races, Unbridled Command was entered in the Grade 1 Jamaica Handicap on October 6 at Belmont Park, but trainer Tom Bush opted to scratch in favor of the McMahon Mohawk start. 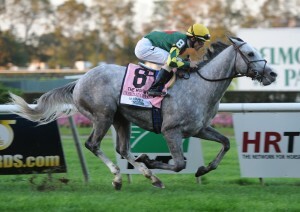 The 3-year-old grey son of Master Command went to the post under Ramon Dominguez as 5-2 second choice. Morning line favorite Compliance Officer, slated to defend his 2011 Mohawk title, was an early scratch due to an ankle injury, but will return to the races next year. As longshot Karakorum Legend (17-1) showed the way, running a moderate first half-mile in 50.91 over the yielding going, Unbridled Command settled in at the hedge in fifth, then advanced steadily during the run down the backstretch to move up two spots. At the quarter pole the grey glided through an opening on the inside and gained the lead as straightened for home. At this point it was all over but the shouting as Unbridled Command steadily widened his advantage under a hand ride to win by 6 3/4 lengths. Karakorum Legend held position well to finish second, while Barrel of Love (33-1), who followed Unbridled Command up the hedge in the turn, finished another length and a half back in third, just a nose ahead of beaten favorite Lubash. Unbridled Command completed 1 1/16 miles in 1:47.02. If all goes well, Unbridled Command’s next start could come in the Grade 1 Hollywood Derby run at 1 1/4 miles on November 25 at Hollywood Park. Unbridled Command wrapped up a three-race juvenile campaign with a maiden-breaking turf score at Aqueduct in November and has improved in each of his six 2012 starts. Winner of his last four races, he took the Grade 3 Saranac last out on September 2 at Saratoga. With a record of 5-1-2 in nine career starts he has earned $319,040. Bred by Sequel Thoroughbreds LLC in partnership with A. Lakin & Sons Inc., Unbridled Command is the most successful offspring to date of four winners produced by Unbridled Betty, an unraced daughter of Unbridled’s Song, who sold in foal to Master Command to Top Sale for $75,000 at the 2008 November Keeneland sale. Unbridled Betty is a half-sister to two stakes winners and to Astaire Step, dam of multiple Grade 1 winner Manistique (Unbridled), who earned over $1.3 million. Unbridled Betty currently has a 2-year-old colt by Freud named Mr. Panda, who has not started, a yearling colt by Freud and a weanling filly by Read the Footnotes. 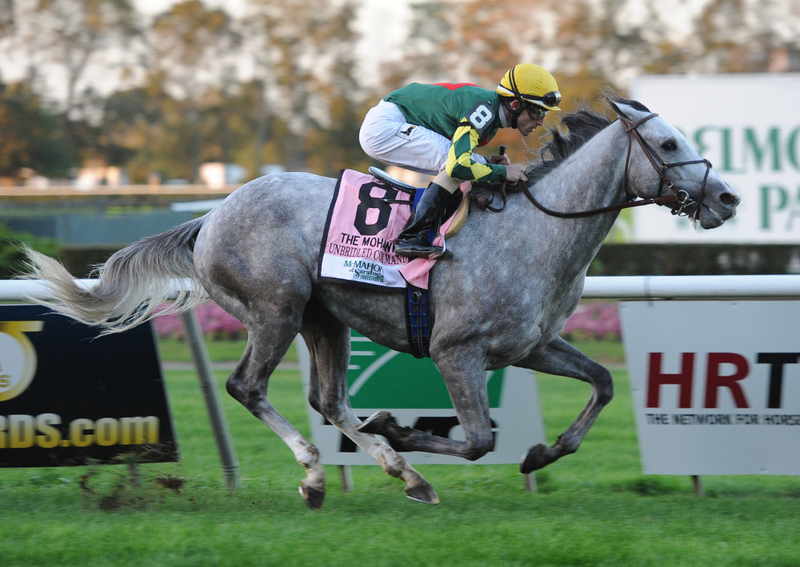 She was bred in the spring to Girolamo, who entered at stud at Sequel Stallions New York in 2012.